Inspiring unmotivated friends and family members to get fit can be tricky. Learn how to navigate this sometimes-sore subject the right way. Positive lifestyle changes are powerful for the human heart. They propel forward momentum, raise self-esteem and confidence, and, more often than not, act as catalyst for change in the lives of others. When you make the conscious choice to swap that fast-food meal for a protein-rich one, or decide to go on a post-dinner stroll instead of downing two scoops of ice cream, you're not just helping yourself—you're inspiring others. Switching from a couch-potato lifestyle to one that's clean and active is a victory for people to experience and share. 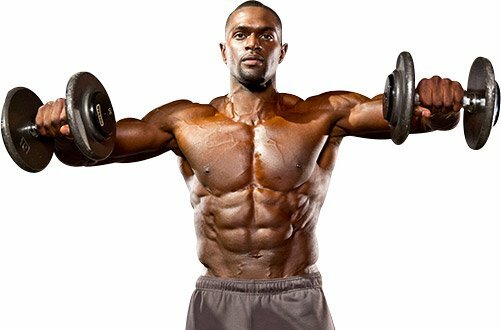 If you're someone who has undergone a transformation, you understand that this feeling of empowerment can be difficult to describe to others. It's deeply personal and makes your chest puff up with pride. It's like you've been given a gift that you're just dying to help others unwrap for themselves. But what should you do when your life has changed for the better and someone you care about isn't onboard? 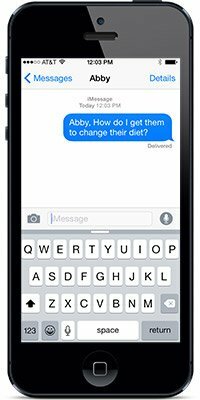 "Abby, how do I get them to change their diet?" "How do I get them to start working out?" "I don't know how to address it without hurting their feelings." There is no easy way to address these things with people you care about. It would be wonderful if Hallmark made cards that said "Hey, buddy, you should probably work out and stop hitting the drive-thru because I love you and don't want you to die," but they don't. It's a tough topic to handle with care and finesse. The key here is making sure that you take a delicate approach. Sometimes wake-up calls only come on the brink of medical risk—a young person experiencing chest pains, an overweight man having difficulty catching his breath after climbing a flight stairs, or a young mother too out of shape to play with her kids for long periods of time. The goal is to avoid these health scares by addressing issues from the get-go. Here are a few pointers to keep in mind as you have a serious health and weight-loss talk with someone you care about. Weight loss and body issues are incredibly personal. Most of the time, when you're making strides in health and wellness, people around you take a moment to reflect on their own behavior. Approaching them with an attitude and insisting that they're headed toward poor health will likely raise their defenses and lead to a standstill. If you know someone whose health is in jeopardy due to their poor diet or exercise habits, then they're likely already aware that they need to make a change. That change is what scares them to death. Approaching them with an attitude and insisting that they're headed toward poor health will likely raise their defenses and lead to a standstill. Think of the people in your life. Do you know anyone whose family tree is full of Type 2 diabetes, heart disease, and cancer, and yet they take no preventative steps? They're likely in denial and fear. It's that fear of failure or being uncomfortable that makes people dig their heels in and scream "No!" instead of embracing the help they so desperately need. At times like this, it's best to approach with reassurance, not confrontation. Listen to their fears and hang-ups. If you're unsure of how to help them, try and talk with them about the steps needed to overcome fear , and listen with a sense of understanding. If you're uncomfortable directly addressing the issue with your loved one, consider suggesting that you start hitting the gym together after work or try cooking a meal from a new, clean-eating cookbook. Tell them that you're making a change and you need help and support. Encourage them to join BodySpace so that you can compare your daily activity. As a bonus, they may meet other newbies who can inspire and encourage them. Suggest you both attend a fitness class or a wellness seminar held at your gym to further your education. Suggest enrolling in transformation challenges with cash prizes for extra incentive. Reward yourselves with a cheat meal once a week. If you're a couple, think about setting up a getaway weekend as a reward for sticking with it. Lifestyle changes are fun and uplifting. The hardest part for someone new is starting, so being their cheerleader and offering positive incentives can be crucial for their success. Choose your words carefully and lead with emotions that come from a caring place. You're concerned for their wellness, longevity, self-esteem, and happiness. You want them to feel happy and empowered. You want them to live freely while taking back control over their own body. Maybe this person has chronic knee, hip, or joint problems. Explain to them that minor changes in their diet and lifestyle will help them lose weight and ease the burden on their joints. Don't shine too bright of a light on their current state; deep down, they know. Instead, make it about how much better they can feel within a matter of weeks if they just take the reins. Explain to them that minor changes in their diet and lifestyle will help them lose weight and ease the burden on their joints. If you have someone in your life who is argumentative and stubborn, you may have to match their level of energy. One of my favorite quotes from author and motivational coach Jen Sincero is, "Tough love is still love." If you're pushed to the brink, you may have to be more honest than you'd planned. Don't be mean, but, if you're in a relationship with someone who is ignoring their health, remind them that their choice affects the entire family. Make sure they at least see the bigger picture. You've heard it a million times: "You can lead a horse to water but you can't make them drink." Likewise, you can't force someone to make changes. All you can do is lead by example, be supportive of their endeavors, and then hope they make the right decisions. It's very difficult to see a loved one head down the wrong path or stray from potential greatness, but pouring your energy and support into someone who refuses to accept it is emotionally and spiritually exhausting. It can cause resentment in relationships and, ultimately, good intentions might even backfire. Focus on your behavior and hope it rubs off on them. You can do what you can to foster changes and encourage healthy replacements for junk food, but this is the ultimate form of "blessing and releasing." Sometimes the most you can do is love someone and hope they'll find their own healthy lifestyle in their own time. If things don't turn out as planned, don't feel defeated; sometimes, hearing "no" from someone refusing to make a change just means "not right now."